"IS THIS IT? Is this me? I look in the mirror and barely notice the person staring back. A tired and disillusioned face etched with mistakes, regrets and a sinking feeling that it might be too late to claw back lost dreams and hopes. Life used to be simple and I felt alive ; now my life feels like one big fat groundhog day" This is by far one of the most frequent stories that I hear from all kinds of people who have come to me for coaching - and I get it. As a working mum of two boys with a list of priorities, endless demands and challenging experiences competing for my time and energy, I know that feeling all too well. 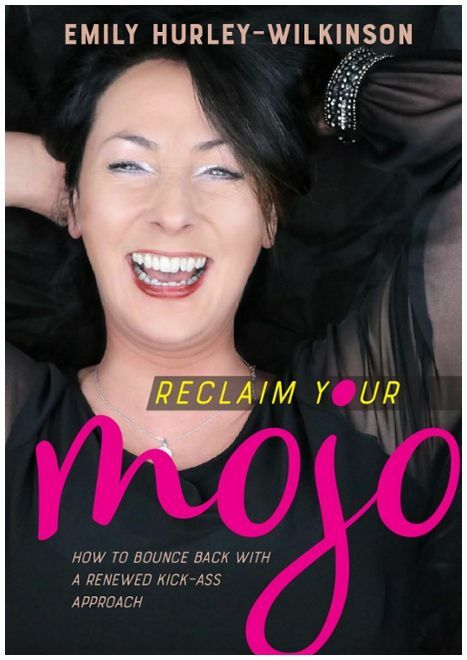 I’m Emily, author of 'Reclaim Your Mojo' and accredited personal coach. Throughout the years I have engaged with organisations, health care providers and individuals to help people facilitate change within their lives. Life can be tough, repetitive and exhausting. It’s demanding, disappointing and offers one certainty – change and challenge. Yet, it would seem that many people are not well-equipped to handle these varying experiences. Anxiety and stress related illnesses are on the rise, leaving many feeling powerless and in serious search of their mojo. I am no stranger to adversity and know first-hand that sinking feeling of powerlessness and emotional overwhelm. That said, I have navigated my way through many testing times and have bounced back even stronger. I have had the pleasure of sharing these core life skills through my coaching practice and since putting pen to paper, I now share these key skills within my book 'Reclaim Your Mojo'. To Reclaim Your Mojo, is to regain your sense of personal power and reignite a lust for living. Brimming with inspiration and all the very latest learning material, the book is jam packed with a range of exercises that will turn your thinking on its head and get you re-thinking various aspects of your life. On writing this book, my goal was to create a book that is highly relevant, very real and includes tools for living that are highly effective and easy to incorporate within your life – that is why I chose to take a very honest approach and share many of my own personal stories throughout. I hope you enjoy reading it. Please feel free to introduce yourself, go to www.facebook.com/reclaimmojo Leave a comment, like and share my page.